Ferdinand Boberg is the Charles Ashbee of Sweden for whom I have a long held appreciation. 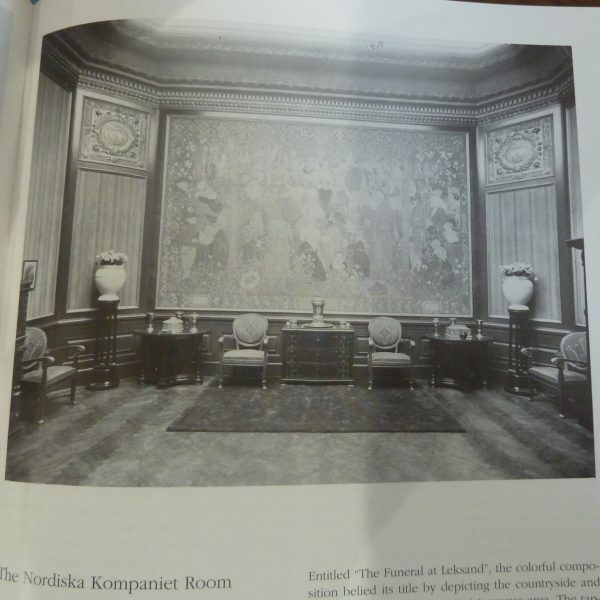 An architect, he lead the Swedish modern movement from c 1900-1914, enjoying the patronage of the Swedish Royal family amongst many. His architecture, with its distinctive Swedish take on art nouveau, can still be seen in Stockholm and Sweden and his decorative arts are held by Nordiska Museet in Stockholm, as well as other museums throughout Europe. His biography and catalogue raisonne is available here and written by Ann Thorson Walton. For decades he was, like Ashbee and Mackintosh, somewhat forgotten and weighed down by accusations of being a champion of art nouveau. Today he is recognised as one of Swedens most important designers of the 20th century. 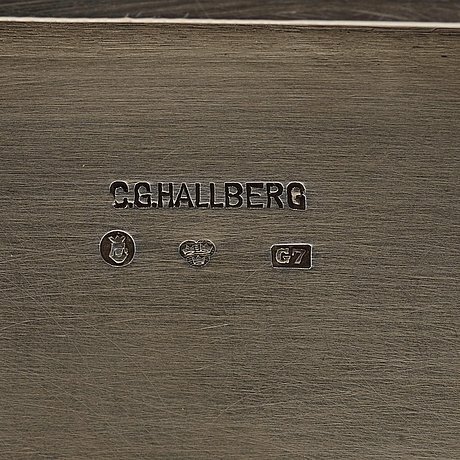 Boberg designed a few pieces in silver, most made by the leading Swedish silversmith C G Hallberg, who made this box. One of Boberg’s most celebrated commissions was to design and lead the Swedish Craft and Design Fair in Stockholm in 1909. 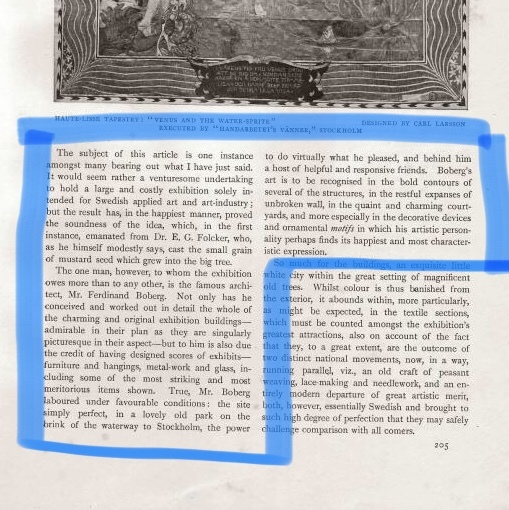 This was Sweden’s domestic response to international fairs, such as those in Turin, Budapest and St Petersburg and also emulated Britiain’s Arts and Crafts Society Exhibition. Asides designing the entire, specially erected, fair buildings, Boberg, with his wife Anna, also designed one of the main rooms, funded by PK, the Swedish post office. 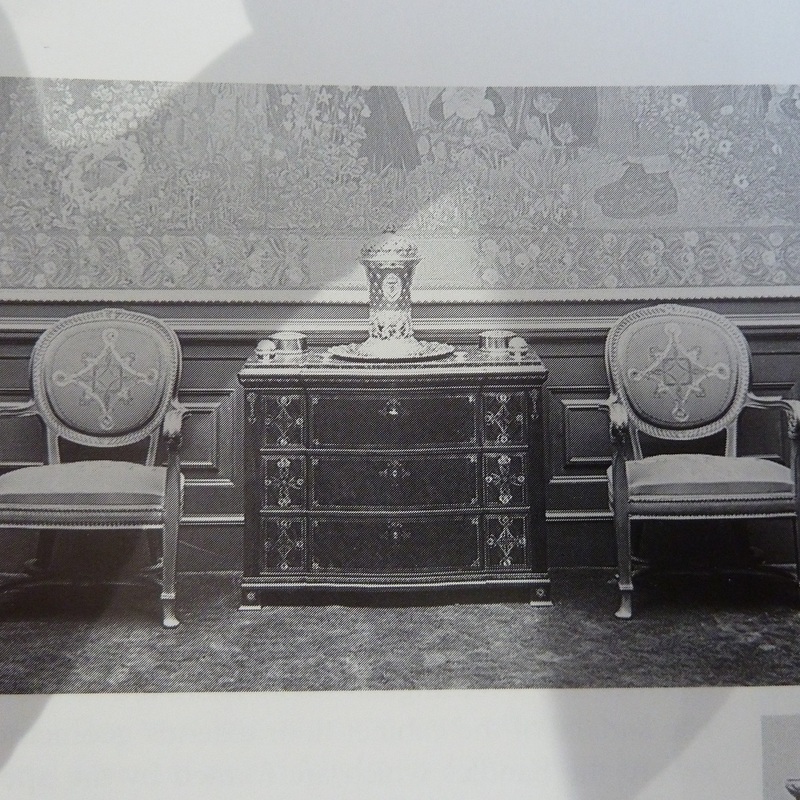 This elaborate room (see images) was widely reported, including in the Studio volume 47, August 1909 (see extract in images). 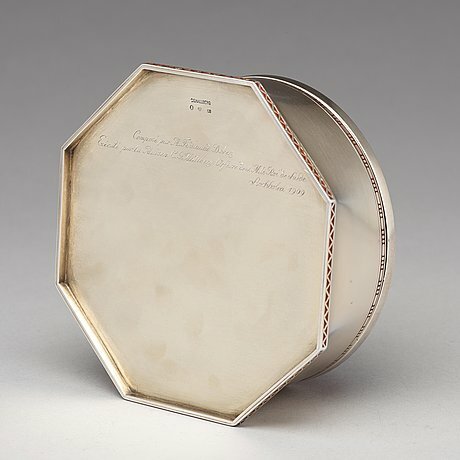 By repute the box was bought at the 1909 exhibition by the Nobel family who owned it until gifting it to the parent of the most recent vendor. 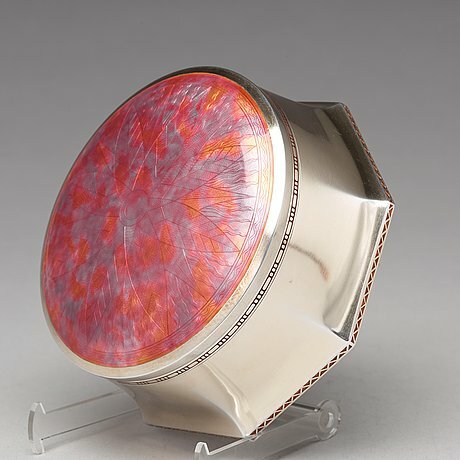 In my opinion this large box is the finest piece of silver designed by Boberg. 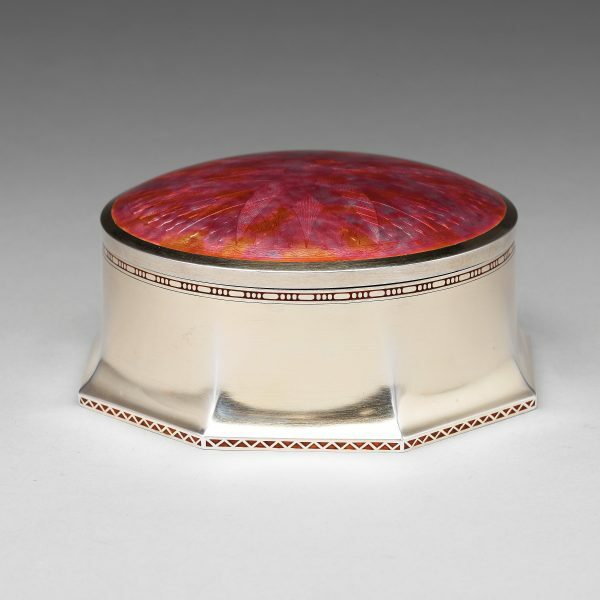 The lid has a subtle engraved star or flower pattern beneath the pink orange enamel. The whole box is lighlty gilded with inlaid enamel in a modern geometric pattern to the base. The box compares favourably with equivalent work produced by Ashbee, Eisenloeffel, and Hoffmann, from which it takes it queues. It lights up any room.